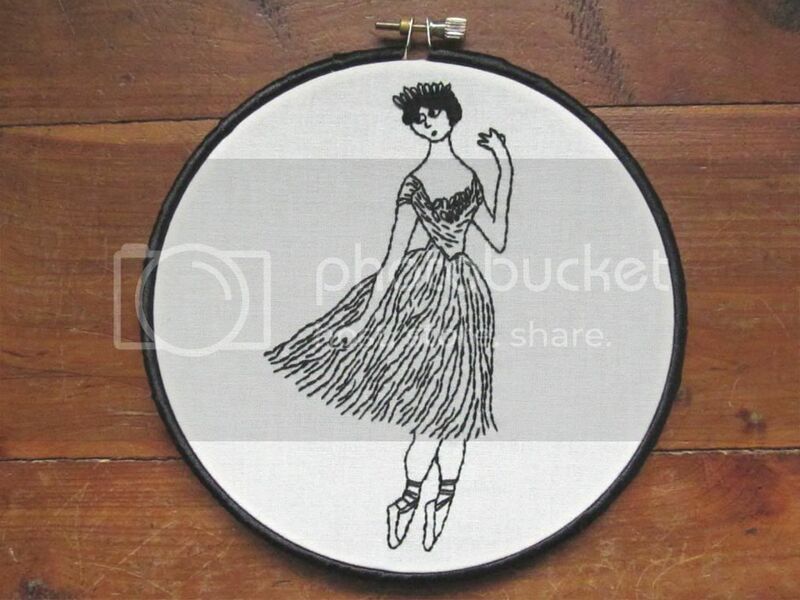 Wool and Wheel: Edward Gorey's ballerina. 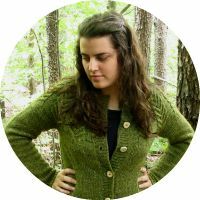 About a week ago, I stumbled across the Illustration Stitch-Along group on Flickr. 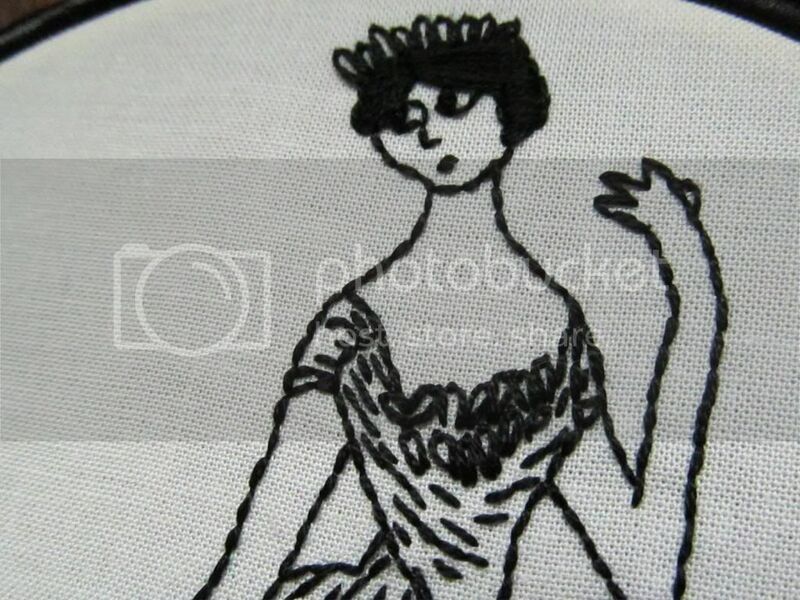 I love this idea, because embroidered pieces that are based on illustrations are just really gorgeous. I definitely wanted to join in. 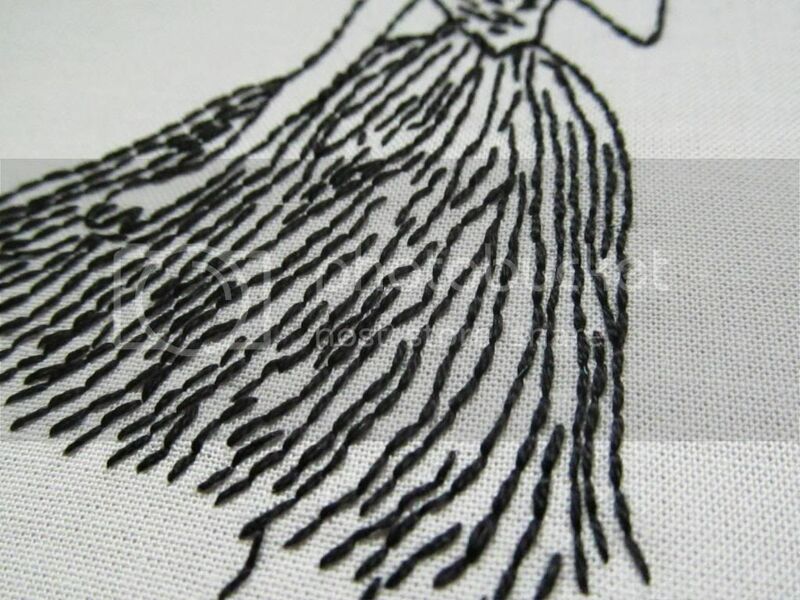 The plan so far is to have about four stitch-alongs a year, each one for a certain illustrator. 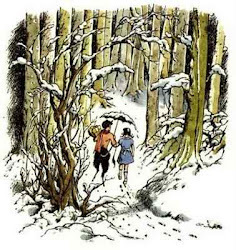 The first one started in January and runs through the end of this month, and the illustrator is Edward Gorey. I had never heard of Gorey before. Apparently he wrote somewhat morbid (though humorous) stories, sort of in the style of Charles Addams or some of the darker Roald Dahl stuff. Anyway, even if his stories are a bit dark for your taste, you have to admit his illustration style is gorgeous. I'm really pleased with it except that her raised hand looks a bit strange. But it did in the original, too. Hey, Kristin! Just wanted to pop over and answer your question about the Lenka cd! I think this cd is even better than her first one, at least I like it better! Same jive, but I "engage" with this album better. I think that one song with the d* was the only swear word, but then, I haven't actually listened to the whole cd in my car (ie. where I can hear it loud enough to hear every word, unlike my office at work!). Anyways, if you like her first cd, you'll also love this one! The title track (#1, "Two") is a little different but it grows on you! Let me know if you listen to it and like it!